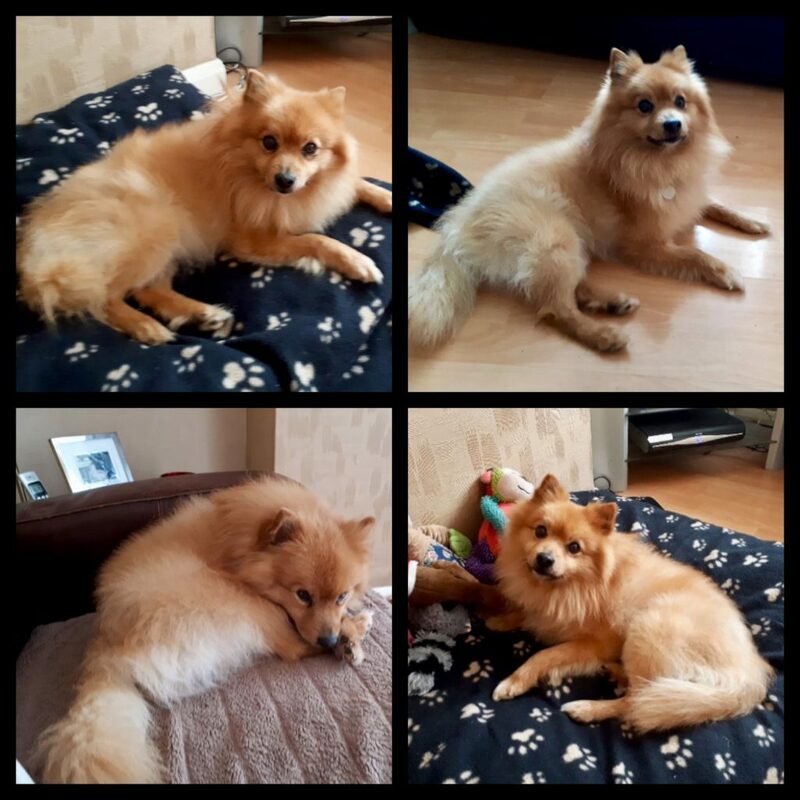 Jackson has now been REHOMED. Jackson is a lively friendly chap, he loves people and has happily lived with other dogs but would equally be happy to be homed as an only dog. He is a very playful boy, full of beans, and loves chasing a ball around or squeezing a squeaky toy, he adores getting out and about for walks and he enjoys a comfy sofa, lap or dog bed at home. Jackson really is a super chap and always has a smile on his face, he is clean and quiet in the home and would make a fantastic companion dog, or a lovely addition to a family home with older children. We are looking for a home where there is someone around for most of the day, although he will be fine to be left for a couple of hours. Pomeranians require regular grooming, so please take this into consideration before applying. 6 year old Jackson is neutered, microchipped, flea and worm treated. He has been cleared as fit by our vets but he does have a very mild grade 1 patella luxation which doesn’t require surgery, and a mild grade 1 heart murmer which is common in small dogs and doesn’t impact on his health but should be rechecked annually.